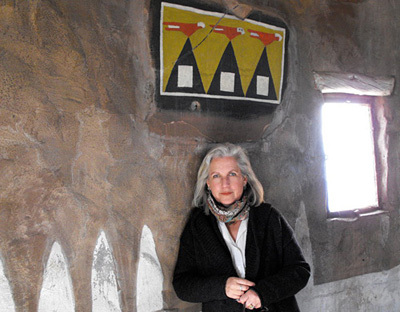 Known for her impassioned and lyrical prose, Terry Tempest Williams is the author of the environmental literature classic, Refuge: An Unnatural History of Family and Place; An Unspoken Hunger: Stories from the Field; Desert Quartet; Leap; Red: Patience and Passion in the Desert; and The Open Space of Democracy. Her book Finding Beauty in a Broken World, was published in 2008 by Pantheon Books. She is a columnist for the magazine The Progressive. Her new book is The Story of My Heart by Richard Jeffries, as rediscovered by Brooke Williams and Terry Tempest Williams (Torrey House Press), in which she and Brooke Williams expand upon the 1883 book by Richard Jeffries. Her most recent book is The Hour of Land: A Personal Topography of America’s National Parks (Sarah Crichton Books/Farrar, Straus and Giroux). The book was published in June, 2016, to coincide with and honor the centennial of the National Park Service. In 2006, Williams received the Robert Marshall Award from The Wilderness Society, their highest honor given to an American citizen. She also received the Distinguished Achievement Award from the Western American Literature Association and the Wallace Stegner Award given by The Center for the American West. She is the recipient of a Lannan Literary Fellowship and a John Simon Guggenheim Fellowship in creative nonfiction. In 2009, Terry Tempest Williams was featured in Ken Burns' PBS series on the national parks. She is also the recipient of the 2010 David R. Brower Conservation Award for activism. The Community of Christ International Peace Award was presented in 2011 to Terry Tempest Williams in recognition of significant peacemaking vision, advocacy and action. In 2014, on the 50th Anniversary of the Wilderness Act, Ms. Williams received the Sierra Club’s John Muir Award honoring a distinguished record of leadership in American conservation.